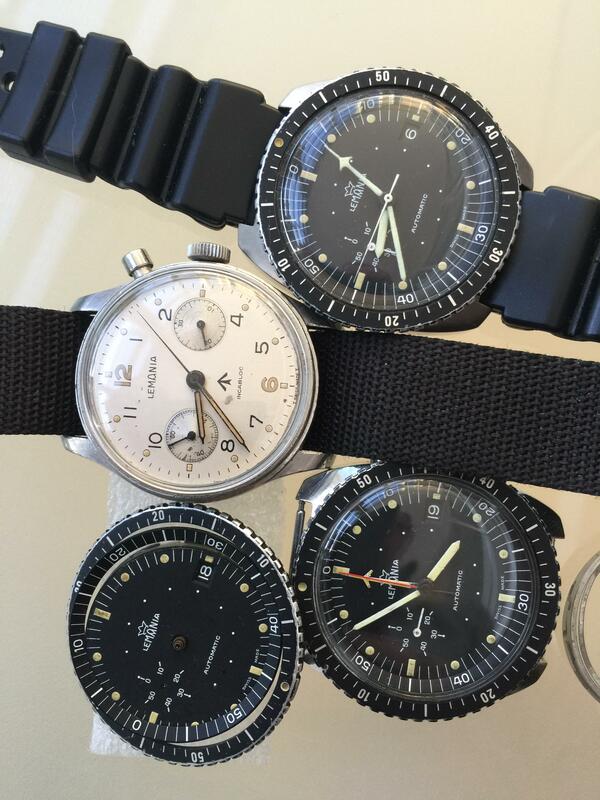 I was lucky enough this week to add these Lemania chronos to my growing SAAF (South African Air Force) collection. These came from the former instrument technician to the SAAF as did most of the rest of my collection. My next task is to find a case and hands for the spare parts - which I know is going to be very difficult. Immense collection Dave, strangely the hands, I think, are probably replacement at service parts - under limited embargo supplies availability (see the Luxembourg tag on the QMs register page detailed here: Lemania Cal 5012 fur die South African Air Force (SAAF) - Militaruhren - Vintage und Aktuell - Vintage-Time Forum ) and just keeping the watches going without consideration to aesthetic etc means these are as 'genuine' as the original parts to some degree.Almost all of these watches have something unique about them. I saw those parts - but I already have 2 sets of those bits (except the hands) and its the case and pushers that I am looking for. I don't think any of my 5012s have the same second hand, but I'm relaxed about them staying "as found". Interesting link to the QM register - thanks!